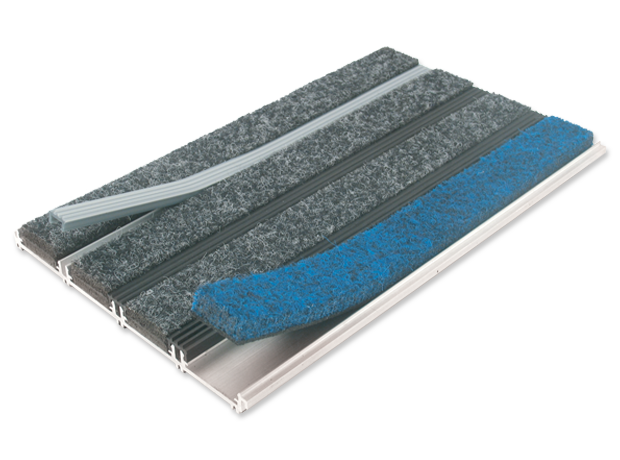 Recycled aluminium matting with innovative Debris channels sections for optimum dirt retention. 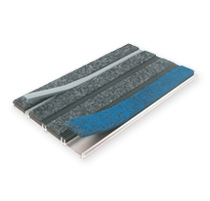 Recycled aluminium entrance matting with a choice of 10 coloured scraper bars to offer increased design options. 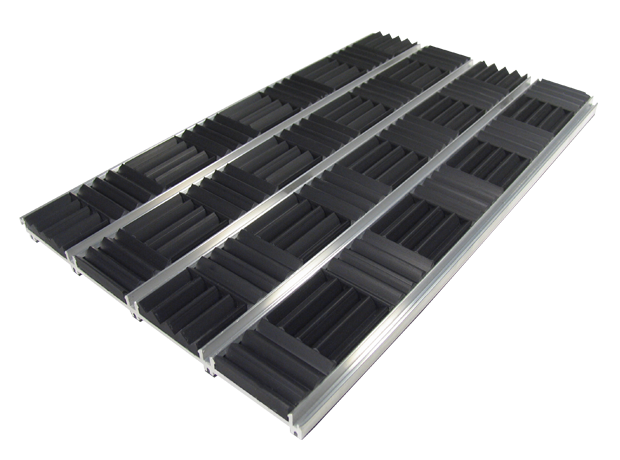 Recycled aluminium entrance matting with innovative Multi-directional rubber infill. Available in Low Smoke & Toxic fume emission option. Design lead ECO recycled aluminium entrance matting system made with Tretford sustainable goat hair infills, helping towards BRE A+ ratings for your project. 48 colours options. Perfect to match any corporate colour scheme. 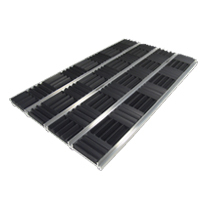 Heavy duty aluminium entrance matting with over 80% recycled content and innovative debris channel design. 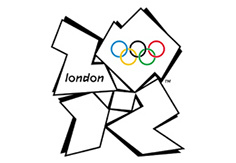 Specified in major retailers such as Mark & Spencer as well as designer stores including Ralph Lauren. 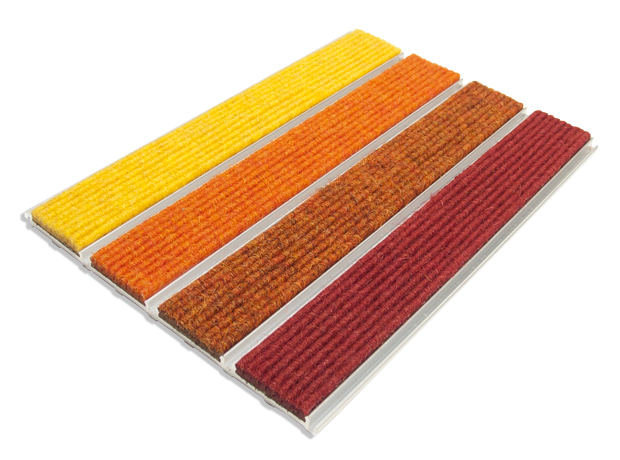 A unique recycled aluminium entrance matting system that not only removes foot-borne dirt and moisture with remarkable efficiency but also offers an attractive visual alternative to other entrance matting products on the market with a selection of coloured scraper bars. Bespoke entrance matting solution for London Underground incorporating multi-directional design and exclusive Natural low smoke-emission rubber infill. 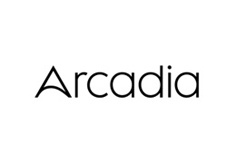 Arcadia Group Ltd. is a British multinational retailing company owning Burton, Dorothy Perkins, Evans, Miss Selfridge, Topman, Topshop, Wallis and the out of town chain Outfit. It has 2,500 outlets in the UK. EMS have provided a manufacture and installation service for Arcadia’s stores for over 10 years. 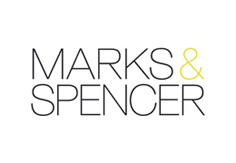 Entrance Matting Systems Ltd attained the specification for all new M&S stores in 2008 due to our products’ high level of recycled content and 100% British made status. 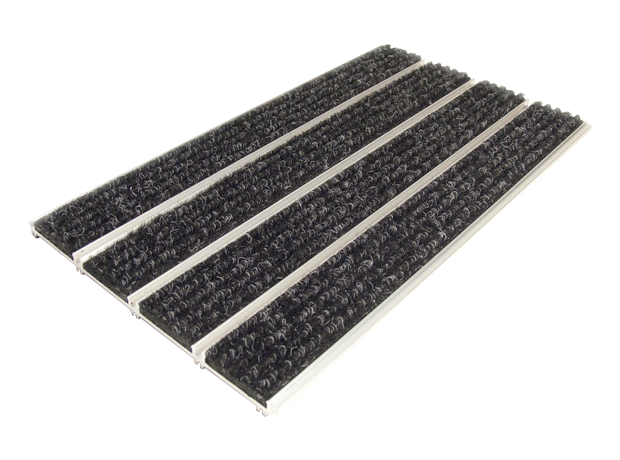 The product used is our EMS Evergreen Debris Channel entrance matting with BRE rated DC022 infill material. EMS Ltd proudly provided entrance matting systems to this highly respected establishment, during a large extension phase. Our CSCS entrance matting experts installed quietly throughout night shifts to minimise the disruption of the future’s greatest minds! 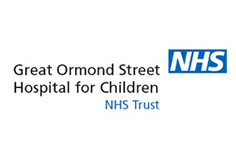 Great Ormond Street Hospital is a children’s hospital located in the Bloomsbury area of London. 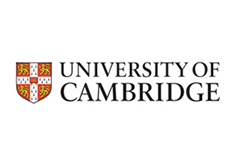 The Hospital is known internationally for receiving from J. M. Barrie the copyright to Peter Pan in 1929, which has provided significant funding for the institution. 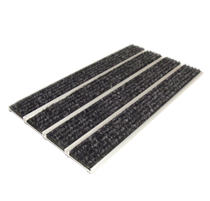 As hospitals require the ultimate in hard wearing entrance matting EMS installed Evergreen Debris Channel with DC008 recycled tyre rubber infill. When LUL approached Entrance Matting Systems with an issue they were encountering regarding uni-directional matting systems, our designers formulated the world’s first Multi-directional , halogen free fire retardant entrance mat; The EMS Multi-Track Natural. 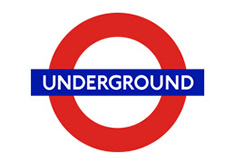 Often copied but never bettered, it is the go to system for the London Underground. 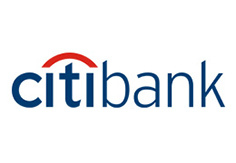 Citibank is the consumer division of financial services multinational Citigroup. Citibank was founded in 1812 as the City Bank of New York, later First National City Bank of New York. Our EMS Colortread entrance matting has been flown all over the world to meet the high footfall demands on one of the world’s biggest banks. All the staff at EMS are big sports fans so we were delighted to be specified on several projects during the 2012 build. Over 8 weeks were spent on these projects, during which time we supplied 100s of square metres of entrance matting to sites from Velodromes to the Olympic village. As manufacturers AND installers EMS were able to provide everything on time and under budget. Dear to our hearts. The first entrance matting installation EMS carried out in 1999 was for this premier hotel group. The group were enamoured by the huge choice of colours in a then, very grey industry. 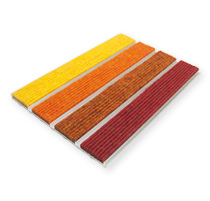 The Colortread design options offered designers a choice of bright colours for entrance matting for the first time ever. 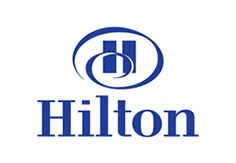 Since that date EMS has provided its unique Colortread system to Hilton all over Europe. When EMS launched the Tretford Design Range in 2012 the first brand to appreciate the use of natural goat hair infill with a choice of 50 colours was this high end retailer. When quality is of paramount importance the first impression has to be right. With the Tretford Design range we offered Ralph Lauren aesthetics without compromising on efficiency.